Our understanding of and provision for mental health in the United Kingdom remains lamentable, and it’s time the Government moved this key issue up the political agenda. The scale of the problem of poor mental health is huge, and is becoming bigger as the population ages and dementia becomes more prevalent, whilst pressures on children and adults in our ever more competitive and changing society see rates of mental ill-health rising steadily. Recent work by the Mental Health Foundation concluded that there are well over 8 million cases of anxiety diagnosed each year, with women more than twice as likely as men to experience this seriously debilitating condition. Over 10% of children aged 5 to 16 have a clinically diagnosable mental health condition, but well over half of them still fail to receive interventions early enough. Mental ill-health is a killer. In 2013, 6,233 suicides were recorded in the United Kingdom for people aged 15 and older. Of these, 78% were male and 22% were female making suicide the greatest killer of young men. Mental illness affects families; 10% of mothers and 6% of fathers have mental health problems at any given time. The numbers of people aged over 65 has increased massively, by well over 50%, in the last few decades, creating an epidemic of dementia. Yet the five key factors identified as having perhaps the greatest impact upon the mental health of the elderly are human ones: relationships, meaningful activity, dignity, poverty and good physical health. We are failing as a nation to deliver these basic needs to large numbers of our older citizens. Whilst the numbers of prescriptions for mental health issues rise inexorably, the disgraceful fact is that today only 15% of those who would probably benefit from talking therapies are able to access them, and all too often only after a protracted delay during which their condition worsens. For those who live with mental illness and for those who care for them, this Sunday, 15th May, Saint Dymphna’s Day, patron saint of those with mental illness, is an important one. Those of us who experience the darkness, confusion, anxiety and fear associated with mental ill-health can take this special opportunity to invoke her blessings and pray for the strength to live with the challenges such conditions create. There is hope, and from that we can all take heart. 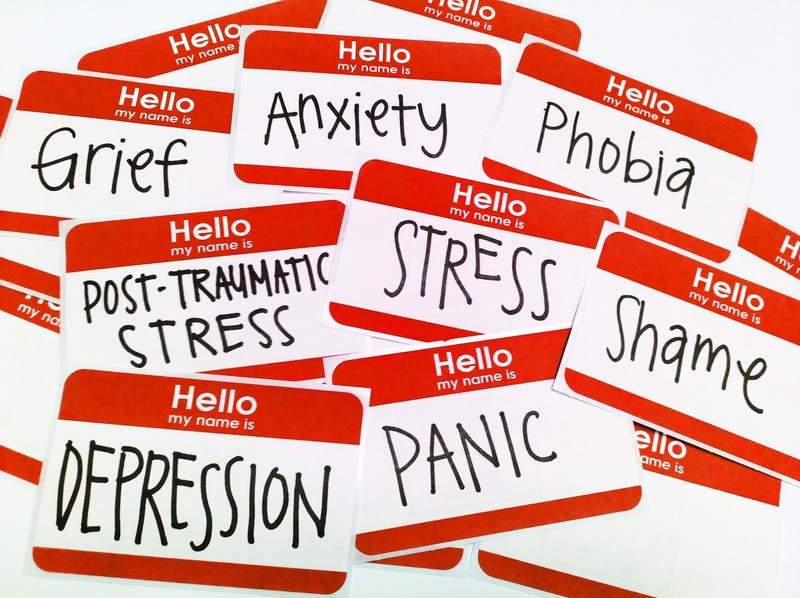 One in four of us will, at some point in our lives, seek medical advice for mental health issues, but the scale of the problem is undoubtedly much greater, given the many who don’t realise they have a mental health condition, who fear the adverse labelling should it become known that they have mental health issues, or who are simply unable to motivate themselves to seek help. Mental health is not “all in the mind”. It can be a hugely physically debilitating condition that makes life absolutely miserable for those who live with it and for whom normal social interaction may become impossible, for whom physical activity is difficult, and for whom self-motivation and self-respect can plummet. Whilst society and particularly the medical profession have begun to understand this, there is much further to go, not least in the provision of National Health Service and public health resources, before we are treating those with mental health issues with anything like the same level of support as we do those with physical conditions. This has to change both in justice for those who struggle in silence and because the cost of care, particularly residential and nursing care, for those with serious dementia is unsustainable if we don’t bring down its incidence. This column, as ever, challenges its readers not to be bystanders on this crucial issue, but to take action to contribute to the pressure for change in public policy and resource allocation; to the spreading of a deeper understanding of mental illness and its implications; and to the establishment of local structures that can provide real and practical support to those with such conditions and those who care for them. First, readers could approach their local Member of Parliament asking him or her to take up these issues directly with the Secretary of State for Health, Jeremy Hunt MP, mentioning House of Commons Early Day Motion number 1390, “Saint Dymphna’s Day Project on Faith and Mental Health” and asking for parity in resource provision between mental and physical health. Secondly, readers might visit the website of WelcomeMeAsIAm.org.uk which provides excellent briefings and toolkits to inform discussion at local level to help raise the quality of debate and understanding on mental health issues. Thirdly, there are specific support materials on that web site, as part of an initiative supported by our Bishops, that would enable each parish to embark on its own project, to establish discussion groups, then networks that can help to identify those with mental health needs locally and ensure that they are welcomed, as the name suggests, as they are, not as we might wish they would be. Church welcomers can be trained to identify the signs and symptoms of mental illnesses and signpost local health and parish services; and just as we have child safeguarding individuals we could have identified parishioners trained in Mental Health First Aid awareness. We could have support groups for carers, and healing liturgies; and references in the bidding prayers and Mass intentions at least as prominently as those for the physically sick. The Welcome Me As I Am project, now in its fifth year, is an excellent and practical approach to these issues. It is able to provide not only very helpful resources, but also training. Your author strongly recommends that every parish nominate a small group to engage with the project and to coordinate activity locally to turn its vision into reality. This could be done on a Deanery level or even in conjunction with churches of other local denominations. If our church is about anything in its social teaching, it is about reaching out and welcoming those who are marginalised by society. As your author can attest from personal experience, there are few more marginalised than those with mental health problems and they all too often bear that heavy cross silently and with little if any support. And finally, we can all mutter a prayer to St Dymphna this weekend for everyone involved in the care of those with mental health problems. This article was first published in The Catholic Universe of 13th May 2016.